If you’re looking for a hearty but relatively simple dish to make for dinner, look no further. 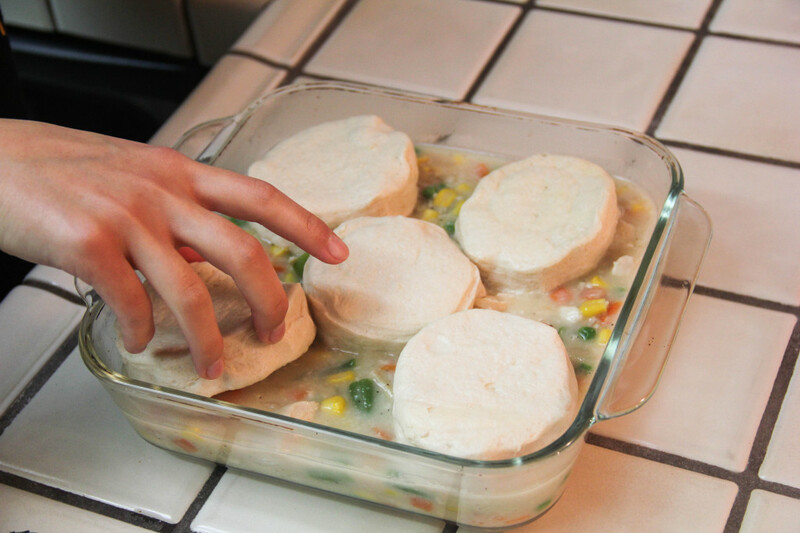 This chicken pot pie recipe (inspired by Minimalist Baker’s 1-Hour Vegan Pot Pierecipe) gives you the taste of some homemade comfort food without busting your budget. And since this recipe makes five servings – with extra Pillsbury biscuits for breakfast tomorrow morning! – you can score brownie points with your roommates by sharing the extras with them. 2. Add olive oil to a large non-stick (This is very important!) saucepan over medium heat. 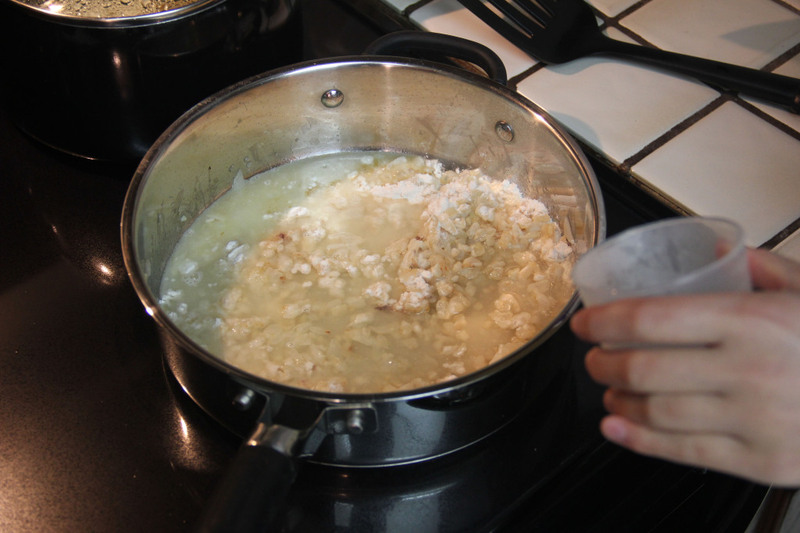 Then, add onion, garlic and a pinch of salt. 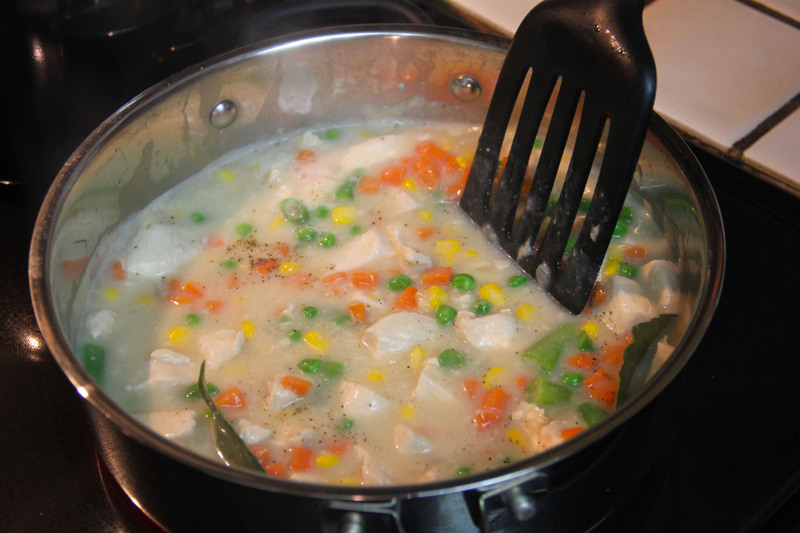 Stir and cook until soft or about 5-7 minutes, depending on your saucepan and stove. 3. Add flour and stir with a whisk. Add broth and slowly whisk to combine everything. 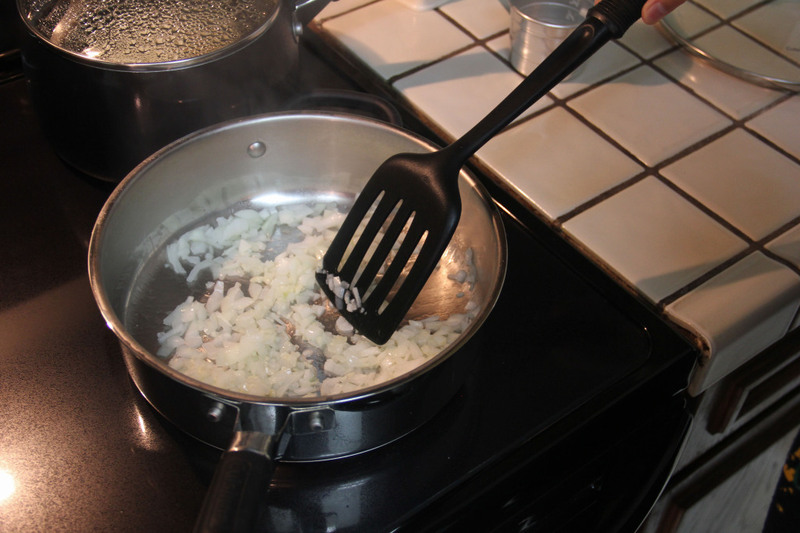 TIP: If you don’t have a whisk on hand, you can make do with a fork. 4. Add bay leaves and stir. 5. 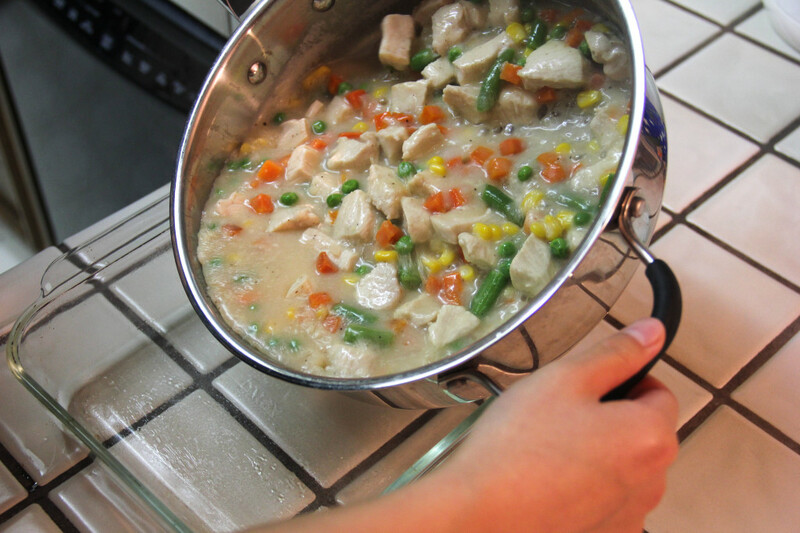 Add chicken to pot and let simmer for about 10 minutes or until contents has thickened to your liking. 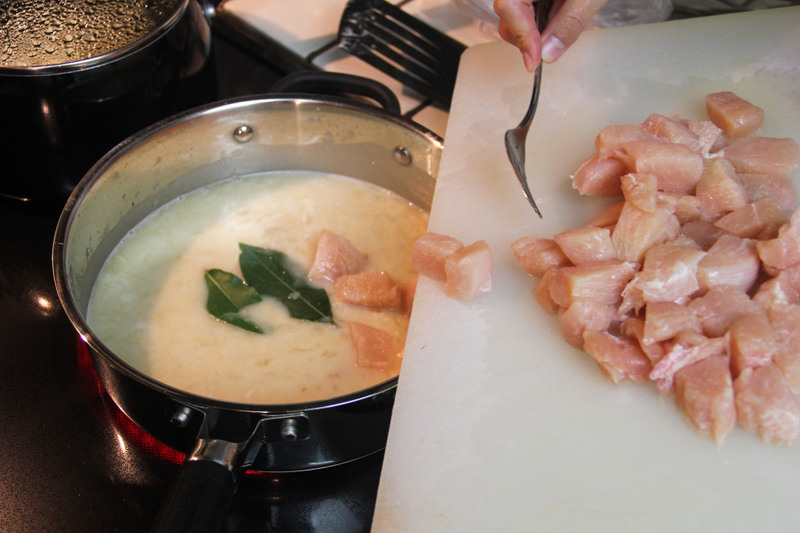 If it’s still too thin after simmering, add 1 to 2 tablespoons of flour to mixture and whisk some more. 6. 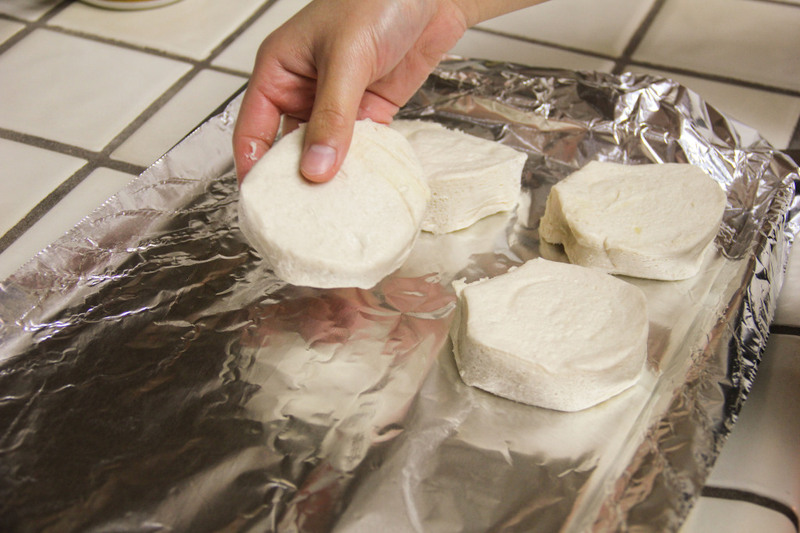 While sauce thickens, separate biscuits onto foil and set aside. 7. 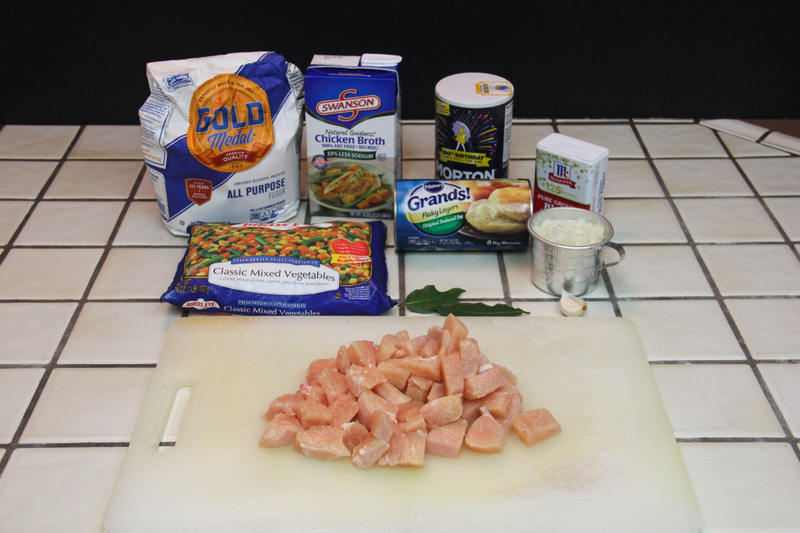 Make sure chicken is fully cooked before adding frozen vegetables. Add salt and pepper as needed. Let everything simmer for 4-5 minutes to let vegetables cook. 8. 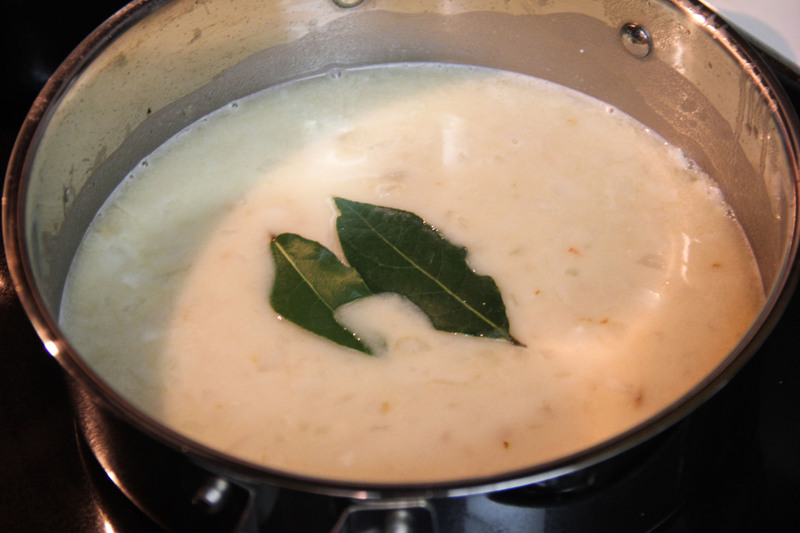 Discard bay leaves and pour mixture into an 8″x8″ baking dish. 9. Place five biscuits on top of mixture. 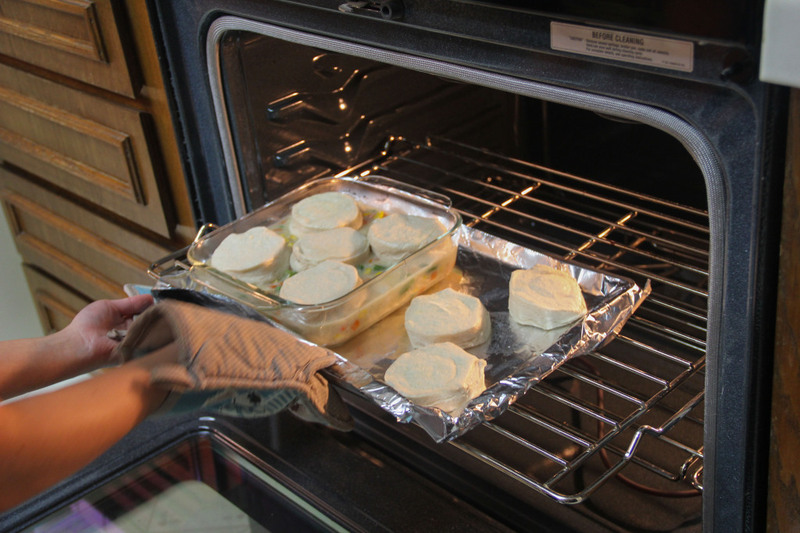 Set baking dish onto a baking sheet in case mixture overflows during baking. 10. Bake until biscuits are golden-brown and filling is bubbling. This time can range anywhere from 8-17 minutes, depending on your oven, so keep close a watch on it. Let cool for 5 minutes before serving. 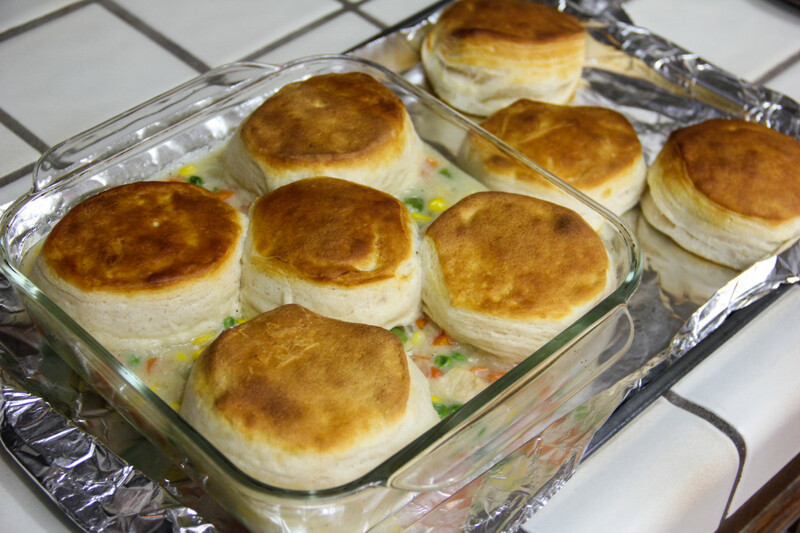 To Serve: Dole out biscuits and serve filling on top of biscuits, on the side or however you (or your roommate) likes. Enjoy!